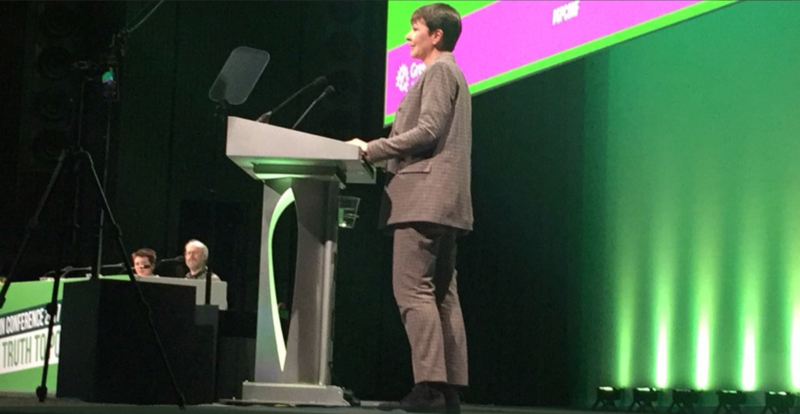 There were two significant issues on the agenda at the recent Green Party conference. Aside from the significant debates on climate change policy, and forestry and woodlands. The two areas which stood out in debate for me were electoral alliances and an “holistic review” of the party. These two issues may seem unrelated, and indeed the cast of people who supported and opposed each one shifted around significantly as the debates progressed. However, what they share, is a complete lack of substance. In supporting each one, the party has in essence backed its own Brexit. We have no idea what it means, where it will be going or what it means for us, no matter what, we are going do it anyway – holistic alliances means holistic alliances. In supporting a continuation of the electoral alliances which had an almost impossible to quantify impact on the recent General Election, conference has supported a policy which may or may not deliver… something. It isn’t clear exactly what it is we want it to deliver. 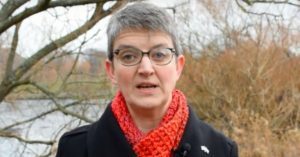 It might be getting rid of the Tories no matter what, but it might be to deliver electoral reform, or it might just be to pat the Labour Party on the back. The overarching purpose of supporting this remains less clear now than it was prior to the conference, but what we do know, is that we definitely, wholeheartedly support it. The “holistic review” which has been supported by conference offers the same lack of clarity. There was a lot of discussion of the need to act quickly, to push for change and of how long the present structures had been in place. There was, however, very little detail as to what these problems actually are, and how a group of so called “respected members” of the party (as one member pointed out from the floor – are we not all respected members?) is going to deal with them within a year. We leave conference with a sense that we must act fast, but with absolutely no idea on what we must act. These two proposals share a significant amount of ground with Brexit. The spread of support for Brexit was based on the fact that it was essentially a hollow proposal. There was no clarity in it, and it was easy for voters to project onto it whatever they liked. Dislike the EU as a neoliberal establishment? Vote Brexit. Want to stop immigration? Vote Brexit. Prefer your bananas bendy? Vote Brexit. The proposal for electoral alliances occupies a similar position – its support relies on a degree of ambiguity – want to get rid of the Tories? Electoral alliances. 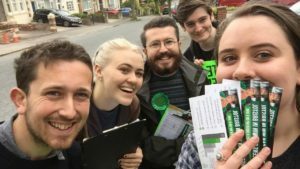 Want try and work with other parties to get you more councillors? Electoral alliances. Want to get proportional representation? Electoral alliances. As long as you can frame it as a positive, without having to peskily quantify what it will actually do, then it remains a popular proposal. Despite the fact it is entirely unclear what it will actually mean for us as a party, and if it even had a positive impact at the last election, or even could in the future. The holistic review is similar. It was brought about as a reaction to the Governance Review – which in becoming something clear and concrete, has allowed an opposition to it to coalesce. The Holistic Review gains support because it didn’t stand for anything. It proposes to make the “right” changes, to make things more “streamlined” to be more “credible” and once we have achieved this buzzword bingo of essentially meaningless phrases – we will get more votes, somehow. In voting for both of these essentially hollow proposals, conference has backed what amounts to empty proposals which promise anything to anyone, everything to everyone and absolutely cannot deliver it all. I think the purpose of Holistic Review is clear – it is a root and branch review of all aspects of the Party. This means thinking about how best to bring everyone we can into the work and decision making of our these days much larger party, to learn the lessons from successful grassroots campaigns like that of Bernie Sanders and to be ready for the next Green Surge. I voted for it and I look forward to being part of it (through consultations etc.) and to seeing us ultimately make a step change in our effectiveness. These are clearly useful aims, and if that was what the Holistic Review was proposing, then it would probably be significantly less problematic. The problem is that these are the things you have projected onto the review, there is no agreement that these are the things which it will actually address, and the motion passed has absolutely no reference at all to any concrete aims for the review – it leaves it completely open so that you personally, can believe that this is what it is about – whilst someone else can believe it is something else entirely – and up until the review actually exists in some concrete form you can both be correct, and agree with each other. At the point when it becomes clear that what previously you agreed on, you no longer do – when the outcomes become concrete – then the reality of the problem will hit.